We’re all accustomed to the same hip-hop songs on the radio. Based on popular belief, hip-hop drums up mainstream music and themes of sexism or misogyny, but contrary to common misconceptions, hip-hop is much more than that and can be used as a learning tool to effectively improve student outcomes and overall learning experiences in the classroom. 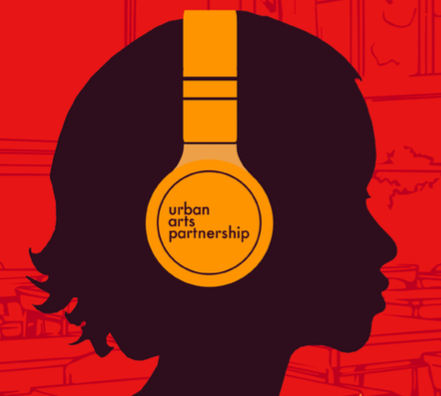 At this year’s SXSWedu conference in Austin, Urban Arts Partnership’s James Miles, Fresh Ed program director and NYU professor, led a discussion about how hip-hop can be integrated into classrooms and serve as a powerful teaching method for educators who want to reach their students in a meaningful way. Joining Miles in this panel discussion were Audra The Rapper, Hudson County, New Jersey Teacher and Author Brian Mooney, and Rapper, Producer and Educator John Robinson who confronted the ways in which hip-hop can make a difference in and out of the classroom. “Hip-hop isn’t just mainstream radio. It’s a rich culture that includes the four elements of emceeing, graffiti, DJing and bboying (or breakdancing) and it started in the South Bronx as a willed response to systematic violence,” said teacher and author Brian Mooney. Those four elements can be used in the classroom as a multi-modal framework for teaching and learning. Mooney is all too familiar with this framework because he incorporates hip-hop into his own classroom in Hudson County, New Jersey. Touching on his experiences, Mooney explained how elements of hip-hop can be both relevant and engaging for in-class learning. Graffiti relates to the arts and spatial thinking. DJing ties into technological literacies. Emceeing and Spoken Word are lyrical and verbal. Bboying (also known as breaking or breakdancing) connects to kinesthetic learning. Hip-hop is also about knowledge of self and knowing where you came from — relevant for social-emotional learning in school — and the panelists raised the issue that students learn in a Euro-centric curriculum that focuses on the history of White culture, but never learn about the history of their own block or community. “Hip-hop allows us to look at those things — communities, groups — that have been marginalized and silenced for too long,” Mooney noted. In using hip-hop, students are able to identify with the founding members who look like them or have experienced a similar upbringing. Now, the panelists explain, the student least likely to participate and engage is now in the forefront of the conversation because of the culturally responsive teaching method being used in class. “Without that, an entire group of students are left out. We have to change that,” John Robinson said. Fresh Ed, a program within a larger initiative at UAP called Fresh Education, is helping to make that change by serving middle school students and training classroom teachers in their pedagogy. Fresh Prep, its sister program, serves high school students taking the ELA, Global History, and U.S. History Regents exams. Both programs are proving how powerful hip-hop can be as a learning tool. According to Fresh Ed Director James Miles, New York City’s current student pass rate for the Global History Regents Exam is 45 percent while students who have Fresh Education and learn through hip-hop have a pass rate of 61 percent. However, the panelists note that just because something is expressed through rap or a form of hip-hop does not mean it’s educationally valuable or good. Mooney explains that in many ways teachers are responsible for the literacy development of kids, but it’s not enough to simply present a form of hip-hop and consider it a lesson. Teachers must understand the medium through which the piece of content — a play, a book, a movie — is expressed and delve into the themes such as immigration or political activism and confront why the piece is being expressed in a certain way; is it because of racial tensions? If so, why? Why are all of the characters only people of color? What is the historical context to all of it? Who is the intended audience? Those questions spark larger, meaningful conversations that will improve students’ critical consciousness and media literacy. The goal in doing this is to help students move out into the world and look at everything more critically and see systems, subcultures and imagery around them and understand the who, what, where, when, why of it all. Hip-hop questions the norm. Audra the Rapper agrees. “Hip-hop is more than a musical genre; it’s a lifestyle, it’s a culture. You can’t walk outside and not interact with something encouraged through hip-hop.” The panelists urged teachers to be inspired by this and introduce it into their curriculum because hip-hop is part of youth culture today. Lastly, hip-hop, like life, is full of contradictions. Learning is indeed a complicated, ambiguous process with no clear cut rules or approach. While much of mainstream hip-hop has themes of homophobia, sexism and misogyny, it isn’t hip-hop that created any of it — hip-hop is simply a reflection of the current culture. Football, movies, and other pop culture favorites also have negative aspects. The panelists express the importance of allowing students to critique systems of oppression that permeate the world by listening to what’s on the radio too. “We as educators have to have the moral and intellectual courage to ask questions about why it is how it is,” Mooney says, and then have the courage to do it. Written By: Kelly Fong, writer and editor for USC Rossier School of Education. Kelly has more than eight years of experience in journalism and is currently earning her MS in Communications at Syracuse University. Follow her on Twitter or connect with her on LinkedIn. 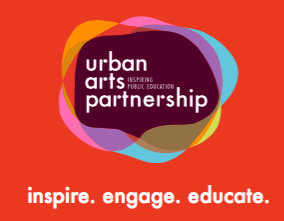 Urban Arts Partnership’s (UAP) mission is to close the achievement gap through arts-integrated education programs deployed as targeted academic interventions. Founded in 1991, UAP has established itself as New York’s largest and fastest growing arts education organization; this year alone we directly serve over 100 schools, 15,000 students, and 500 teachers. From using Hip-Hop to help students prepare for the Regents exam, to leveraging the art of storytelling as an ELL tool, to reinforcing socialization skills in students with special needs using the fine arts, UAP’s programs unite the arts and academics to give students an opportunity to succeed and definitively break the cycle of poverty. In March of 2016, UAP went to SXSWedu, in Austin, TX to launch the expansion of the Fresh Ed program, including its curricula, original music, and blended learning tools. The small team of UAP artists and educators were immediately met with overwhelmingly positive response and interest. It’s clear that classrooms and educators from all over the WORLD are ready and willing to incorporate this culturally responsive (and enjoyable) approach to teaching and learning. Check out all of the responses on social media from our time presenting and showcasing at SXSWedu. Urban Arts Partnership will continue these conversations on our culturally responsive approach to education in NYC on April 27th, where you can attend the New York Arts in Education Roundtable’s Face to Face Conference. We will be facilitating a workshop called, “Gotta Stay Fresh,” in which the participants will be able to make their own Fresh Ed Lesson Plan for any academic subject. Teaching resources and classroom stories from the Kiddom community.